In the last years I created together with colleagues from pedagogical psychology, math didactics and university administration a handy plugin for Moodle to support learning group formation in courses. We found evidence that these groups are more satisfied and produce better results. 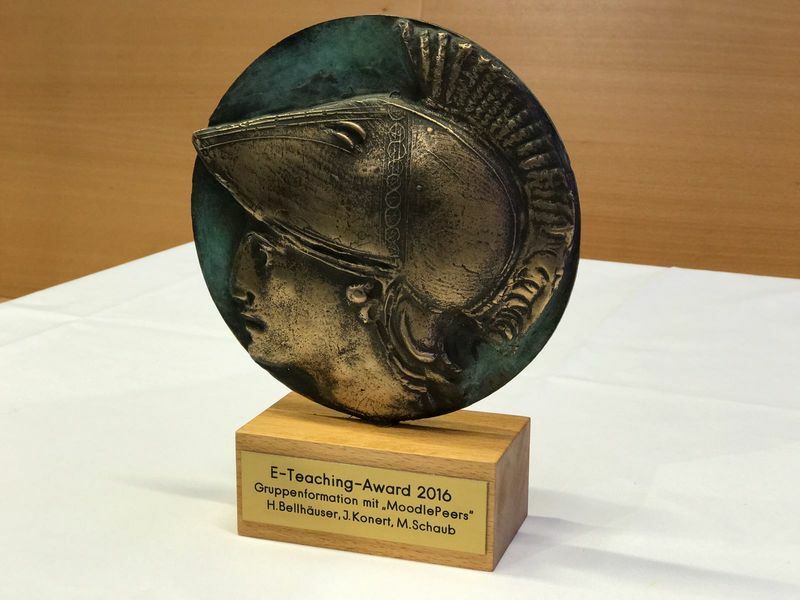 Now, TU Darmstadt university awarded our efforts with the eTeaching Award 2016. I gratefully thank the jury for the price and all team members for the productive research work. Let's hope, the groupformation plugin will be soon available at Beuth HS, too. See Blog report about the award, repository www.moodlepeers.de or the Moodle-Plugin page for details.